As the 1st century Christian figure, Apostle Paul puts it, “A little leaven leaveneth the whole lump”. The oral health perfectly qualifies as this little leaven whose neglect will affect the entire body system. Though small, it has been established that the mouth plays a critical role in wellbeing by contributing immensely to the quality of life and having a bidirectional relationship with the rest of the body: affecting the health of other part of the body system, including the heart, reproductive system, respiratory system etc and the health of the rest of the body affects the mouth. Despite these known facts, gross neglect towards oral health is still the order of the day among Nigerians: Rich, poor, literate and illiterate alike, oral diseases still lead to significant mortality and morbidity among us today. 1.Eating Healthily: Eating a balanced diet is a precondition for healthy living, the mouth not being an exception. It is essential to eat meals rich in natural products especially fruits and vegetables which are beneficial to gum tissues and by extension other parts of the body system. 2. Reduce Refined Sugar Intake: Refined sugar (in the form of biscuit, soft drinks, chocolates, sweets etc) is a great enemy of the teeth. This is because it forms a good substrate that the bacteria in the mouth act on to break down the teeth and eventually create holes in the teeth. Refined sugar consumption should therefore be in moderate amount, this not only helps the oral cavity, it by extension help protect the entire body from the deleterious effect of refined sugar. 3. Brush Effectively: Tooth brushing is the single most important action you can take to enhance your oral health. The primary essence of tooth brushing is to remove bacteria plaque from the tooth surface thereby preventing from tooth decay and gum disease. Effective tooth brushing entails using a medium textured toothbrush and a fluoride containing toothpaste twice daily. 4. 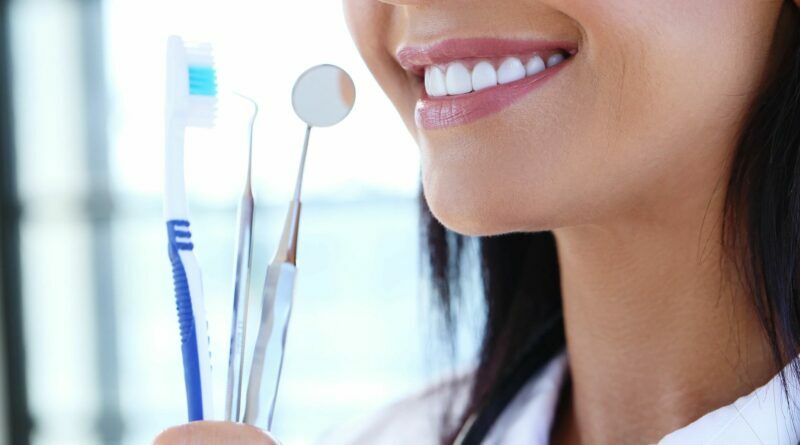 See A Dentist Twice A Year: Seeing the dentist twice a year helps in assessing the oral cavity, confirm if a routine scaling and polishing will be essential and take appropriate action as necessary. This, though the last on this list is not the least important measure, it is a very essential one. In light of the increasing understanding of the interplay between the mouth and the body, it is clear that the cost of neglect of oral health is high and should not be contemplated. It is therefore important that we seek the opportunity afforded by such a day as this to ACT ON MOUTH HEALTH.